City Bureau is a nonprofit civic journalism lab based on the South Side of Chicago. We bring journalists and communities together in a collaborative spirit to produce media that is impactful, equitable and responsive to the public. We run three programs that model a more democratic way of making media. A paid 10-week program where journalists of all skill levels work together to produce stories impacting South and West side communities. + Learn more and apply here. Skills trainings and paid opportunities for community members who want to get involved in civic processes at the neighborhood level. + Learn more and sign up here. Free weekly workshops about media, media-adjacent topics and civic issues, plus co-working space for independent media-makers. + see the schedule here. Want to get involved with City Bureau? Beyond participating in our three programs, you can always get in touch with us about opportunities to collaborate. 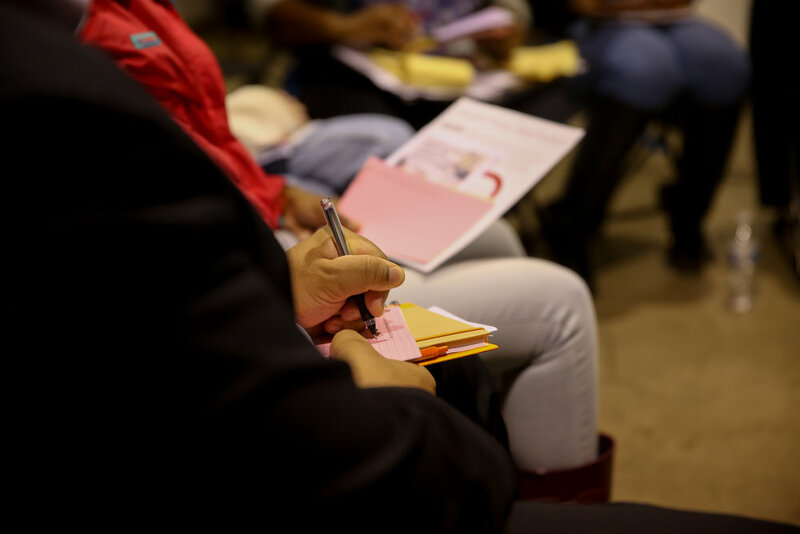 We partner with community organizations across the country to host workshops, training sessions and other events related to journalism and civic issues. If you or your organization want to work with City Bureau on a special project or event, please contact us.